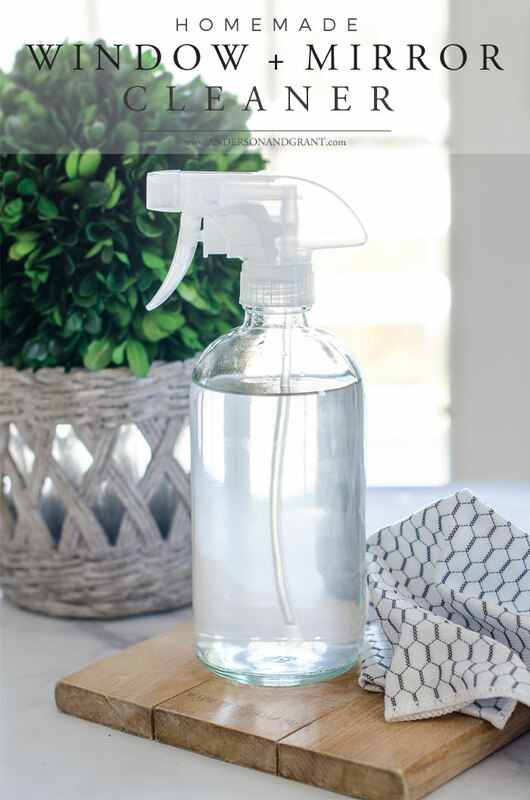 Probably the easiest DIY cleaning product to try making first is glass cleaner. It takes just two ingredients that you probably already have in your home or can pick up easily at your local grocery or dollar stores. The ingredients are distilled white vinegar and distilled water. 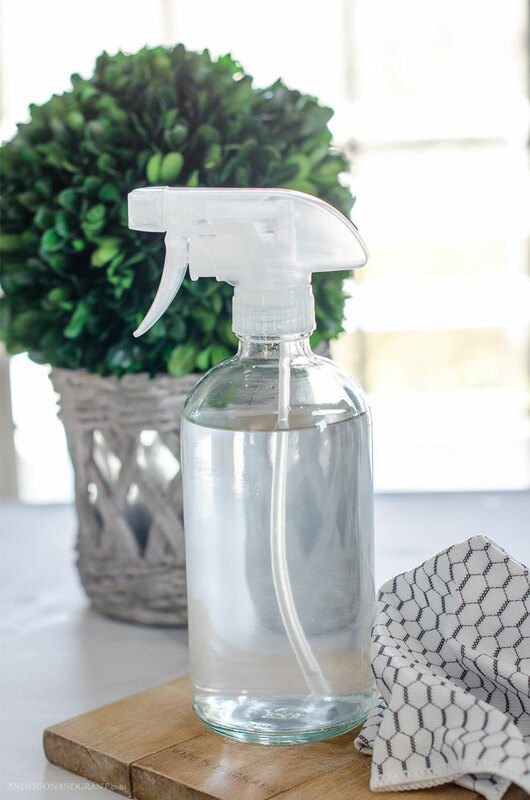 The acidity in white vinegar in perfect for cleaning and disinfecting. And while you can use ordinary tap water, the distilled water won't leave behind a residue. If you have hard water, as many people do, using the distilled water helps the cleaner to be more effective. 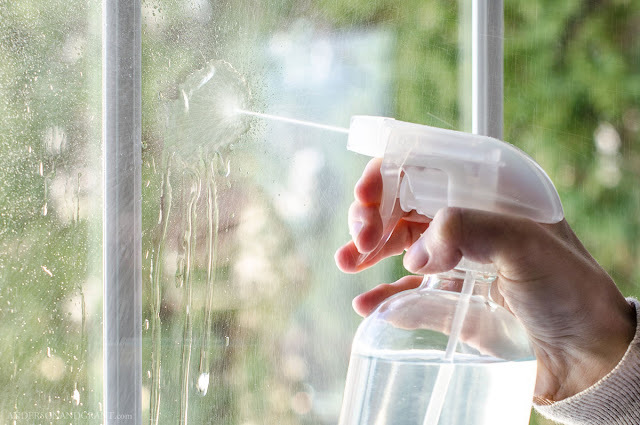 To make your DIY glass cleaner, measure out and combine the white vinegar and distilled water in the spray bottle. If the smell of the vinegar is too much for you, feel free to add essential oil in your favorite scent. The vinegar smell does dissipate quickly from the glass, however. 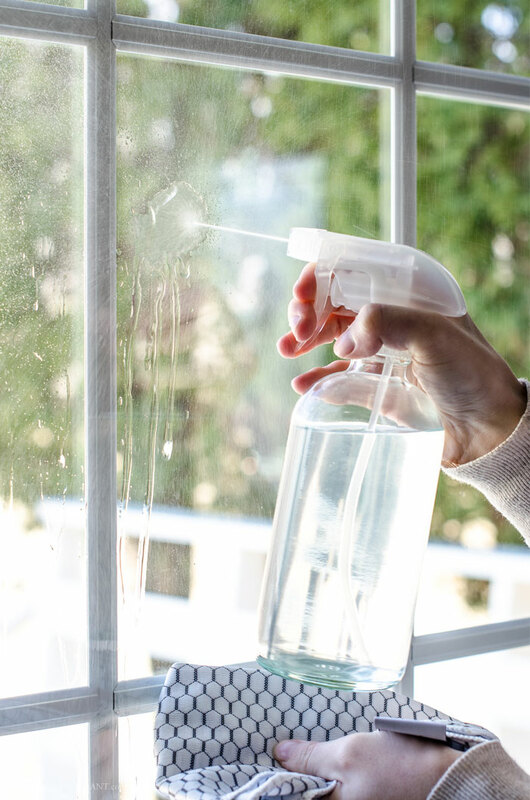 This cleaner is perfect to use whenever you need to clean your windows, patio doors, glass table tops, mirrors, or glass objects around the house. (It can be damaging to natural stone like marble or granite, though, so be sure to be careful when making or using the products around these surfaces.) Spray some on the surface you are cleaning and then use a microfiber cloth to create a dry, streak free finish. 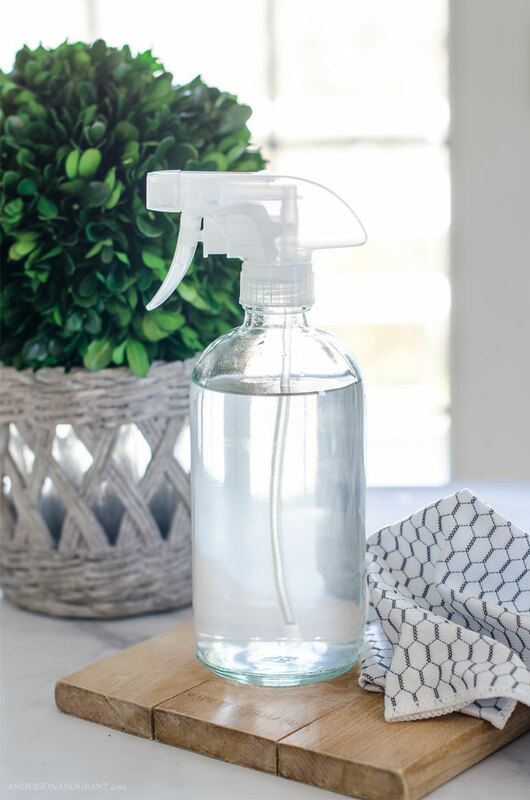 Not only is making your own cleaning products better for your home and your family, but it is an economical endeavor as well. Have you ever stopped to think just how much money you spend in a year's time to keep your house clean? 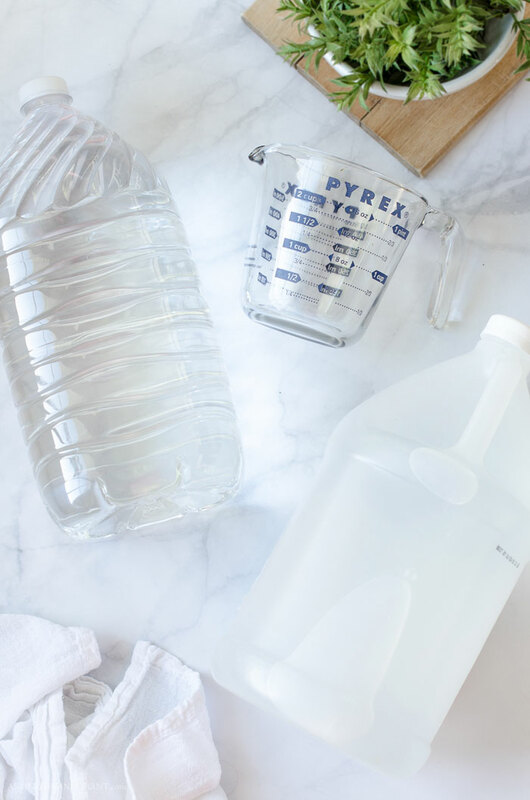 Whereas if you make your own cleaners from things like vinegar, baking soda, and castile soap, you'll get a lot more product for your money.